Last week, Elon Musk took another step closer to going “full Trump” by announcing that he wanted to launch a “credibility site” where people could rate news sites, writers, and editors on how trustworthy they are—or, more likely, on how nice to Elon Musk they are. Musk suggested that the name for this site would be Pravda, an apparent reference to the Communist propaganda paper of the same name, which makes that seem like it’s either a very bizarre reference or just a very Elon Musk joke. Anyway, Musk has now conceded that not all journalists are bad, as he’s found a supporter in a site called The Knife that puts together “objectivity ratings” on news reports to determine just how biased a journalist is. 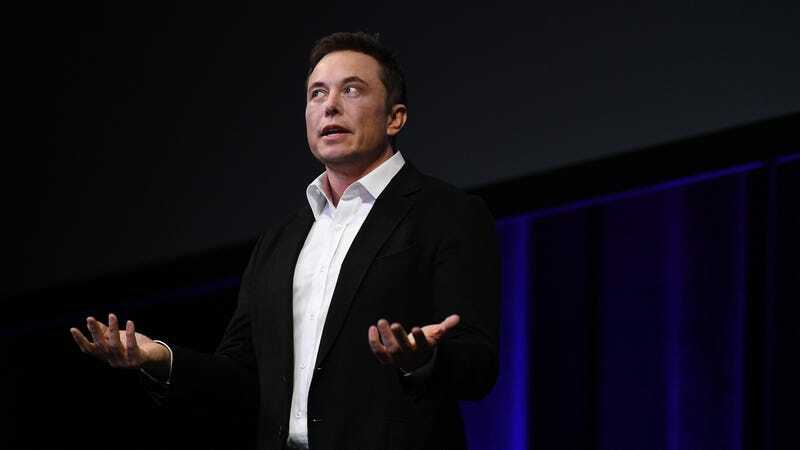 The Knife determined that the media is just as biased against Musk and his electric cars (and alleged anti-union behavior) as he claims, prompting him to share a link to the site on Twitter and note that the “analysis is excellent.” That comes from Slate, which says Musk has since deleted the tweet for reasons that will soon become clear. At the risk of tanking our own credibility rating, it seems pretty clear from this that “positive coverage of Elon Musk” is all an outlet really needs in order to be considered trustworthy.